I can perfectly understand what it feels like when you find out that you miss the main ingredients of a recipe - and you have no intention to go to the store to buy new ones... Glad you thought about this other fall recipe! I baked my cake with apples. I was not about to go search for figs! Your peach cobbler is beautiful! I made the Plum cake twice because it was so good--and easy! First time I ever cooked with plums. 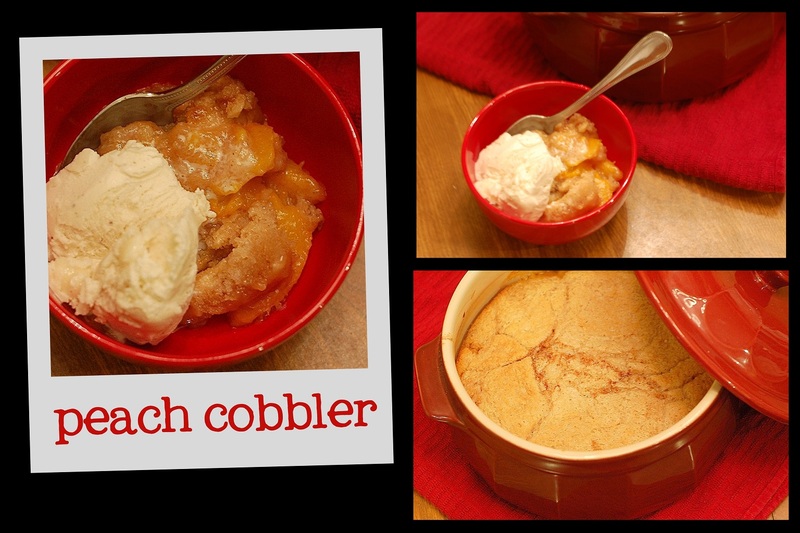 It looks great with peaches, apples, berries. One great dorie recipe!